DIESEL drivers in London could face daily charges of up to £50 to use their vehicle by 2019 if a consolation is approved. Diesel drivers face yet more bad news as a new consultation could soon see motorists paying £50 to park and drive by as soon as next year. Owners of diesel cars in London could be targeted by a new initiative launched by Westminster City Council to clampdown on emissions. The council would see West End parking costs rise by over 50 per cent from £4.90 to £7.35 an hour by the end of the year or early in 2019. It will target pre-2015 diesel cars in the district and try and remove the volume of the most polluting cars on the road by then. This cost would need to be paid on top of the diesel T-Charge which is becoming the Ultra-Low Emissions Zone in 2019. Drivers using this zone will need to pay £12.50 a day to drive in the zone or face a heftier fine. On top of that the £11.50 Congestion Charge, which is in force from Monday to Friday 7 am to 6 pm, will also be charged. Therefore if a motorist drives into these zones and parks for just four hours then they could face paying £53.40. According to estimates, it could see 270,00 fewer parking transactions occur, which could make a significant improvement to emissions. Over the last year, Westminster City Council has trialled the diesel parking surcharge in parking zone F, largely comprising Marylebone and Fitzrovia. 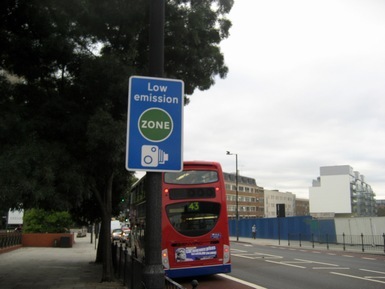 The scheme was a success, reducing the amount of older diesel vehicles parking in the Marylebone Low Emission Neighbourhood by 16 per cent. A consultation into the new charges will take place on September 12 by Westminster City Council. Tim Mitchell, Westminster City Council cabinet member, said “Residents tell us that air quality is their number one concern, which is why we want to roll out this change across Westminster so that all communities can benefit. “We welcome views from everybody as part of this consultation.